Gifting is fraught with potholes. It's become completely overwhelming - even for a shopping expert like myself. People gift perfume for holidays. I've seen it reported. I've never understood it. Some people, like my mom, wear the same perfume iconically their whole lives. (Chanel N5 in case you were wondering.) Them I understand gifting. But I don't know anybody who's scent exclusive these days. Moreover, most people I know layer - it's encouraged by so many beloved brands like Commodity, Derek Lam 10 Crosby. Maison Margiela Replica even makes "Filters" to specifically alter fragrances. With so much out there, how do you gift perfume these days? Glossier You is the perfect solution. It literally says " you smell good," so there's no way the gift can be misconstrued as a subtle dig on personal hygiene. It's the best layering perfume that has ever existed, making it a great gift for that friend who loves fragrance but also, like has a million of them. It's packaging is chic and gorgeous, coming as it does from the minds of those #topshelfie inventing Glossier peeps. 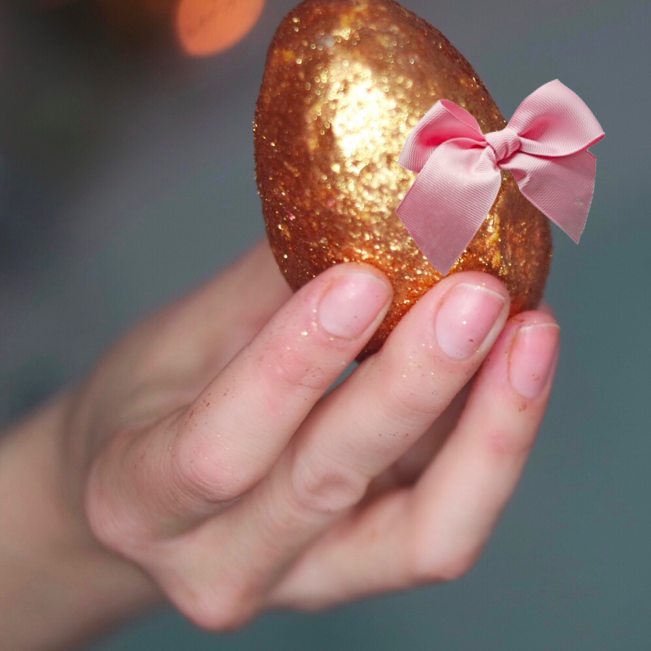 So yes, I think Glossier You would make the perfect gift. But why give a gift when you can give an experience. So this year, in lieu of 120 million different things to buy, I decided to make just four, color coordinated, gorgeous, storytelling gifts. They say, "I get you." but also "Treat yo self!" and "you're amazing!" and "I love you very much!" 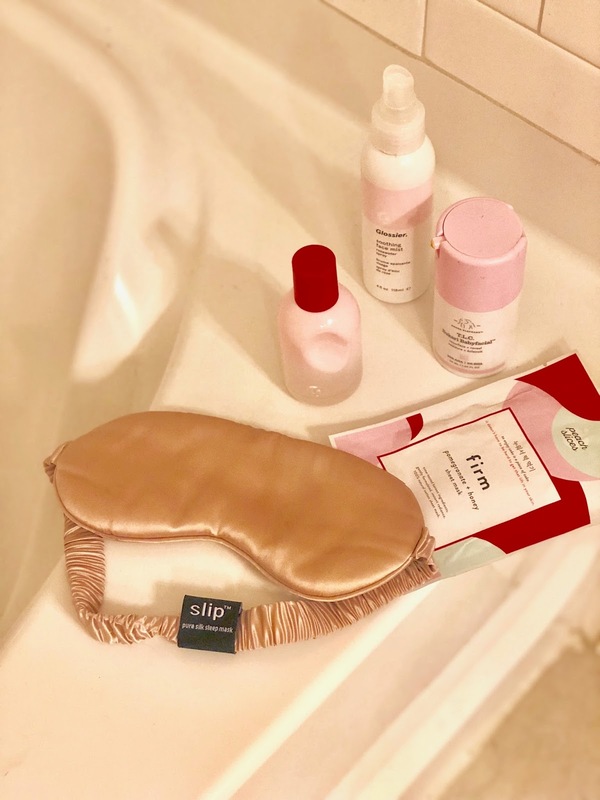 You might notice all the bundles also include the Slip Silk Sleep Mask. It's the perfect option for the girl who cannot abide a $70 pillowcase, but is super into the idea of protecting delicate eye area skin. It’s something you will probably obsess over but never think to get yourself. It’s frankly, addictive. I'm particularly partial to the dulcet, subdued tones of the caramel, but the gold is also absolutely stunning, and you (and that mascara that didn't come off) can't go wrong with lush black. I'm particularly obsessed with this brand because their silk is just so good. I've tried a million and one different sleep masks, but never found one as decadently soft, perfectly colored, breathable, and high-quality as this brand. And I still obsess over my pillow case, so I know it will hold up to wear and tear. Together, these two products cost about $100**. So I challenged myself to think of add-ons that would feel substantial, without costing more than $50. All the sets can be mixed, matched, combined, or cut out. You don't even need to include the perfume or the sleep mask! Such is the wonder of these bundles that they are highly extensible, combinable, customizable, and chic. So instead of showing you perfectly wrapped packages, instead I thought this year I’d show you what this probably will look like in your friends real life. Pick the photo (or the sentiment) that calls to you. It’s also OK to gift yourself. GIFT 1: WHAT DO I GET HER, SHE'S SO MUCH COOLER THAN ME?!? Also, she can wear them at home where nobody can see her, which makes it easier to gift to that friend who clearly has better taste than you. This is the TLC pack of nice to haves. For that friend you wish you could wrap in a blanket and protect from illness, nasty co-workers, ex-boyfriends, pollution, politics. But of course, she's your friend so she's obviously chic AF. And she doesn't really believe in crystals, but it's not going to make anything worse. The salt is good for her too, according to ancient wisdom and modern science m, but it also doubles as a rad lamp. The earplugs are cutting edge to balance all the hippy, woo woo. "Turn off all the lights, crawl into bed, rub your feet, pull down the sleep mask, pop in those ear plugs, and have some healing sleep,” you whisper softly with this gift. Also, really awesome for anybody who has to spend a lot of time in hospitals. I know, I know. This mask is more than $50, but this little bottle contains the equivalent of 35 med-spa peels. Only the peel inside is more effective and less irritating. Don’t forget a hand written note with the steps and maybe a little bundle of sage on the wrapper. Peel with the DE. While that skin is primed from the peel, relax and soothe with a luxurious sheet mask. Moisturize. Slip into bed with that sleep mask. Oh, and you're probably also wondering. What does You perfume smell like? It's soooo hard to describe. But it's mellow, intriguing, sophisticated, delicious, individual. Subtle, but everyone notices it. I'm (almost) sick of how often people tell me I smell amazing since I started wearing it. I’ve tried it alone. Layered with other perfumes. After body lotions. After various days of not showering. The only way to describe this fragrance is that it smells good. And yet magically, it still smells like you. No matter what I do with it people always compliment how I smell, not “your perfume smells good.” It’s like your own skin smell when your skin is in it’s perfect, clean, balanced stasis. Mostly it smells like you: that familiar human-y note that makes up the body of what you’re smelling. Creamy, sparkling, clean, warm. That’s You. It’s delicious, and if you’re on the fence, every glossier order you place comes with a sample. Disclosure: I am a Glossier Rep, and I do earn a percentage if you purchase through my link. But all opinions expressed here are my own.